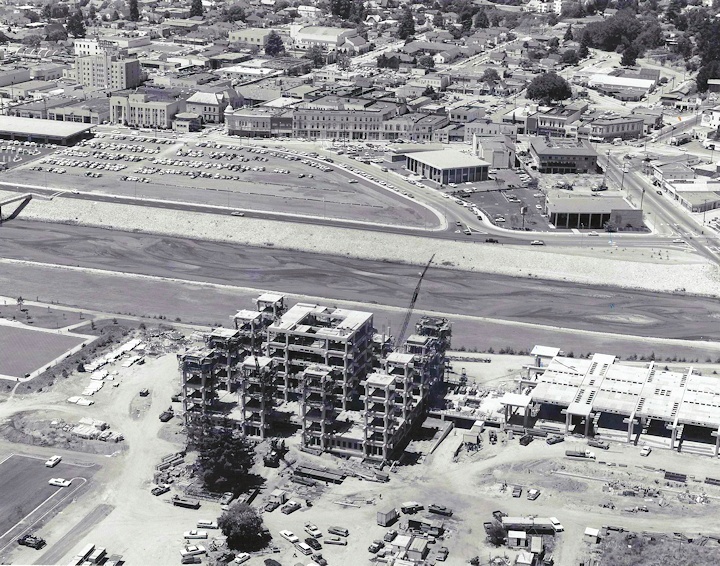 SANTA CRUZ COUNTY BUILDING BEING BUILT. Proof that real people built this mess not demons. The photo was taken June 30, 1965. Then look across the mighty San Lorenzo River, which appears totally dry and see Pacific Avenue, the old jail, The Cooperhouse, the Civic…what stupendous changes this entire area has gone through. The proposed La Bahia project is better than the project the Coastal Commission rejected back in 2011. First, it’s to be developed under existing zoning regulations. Second, it envisions rehabilitation of the iconic bell tower building. Third, it is not a condominium project. Finally, its reduced height is more appropriate with the scale of buildings on Beach Hill. Those are notable improvements. Still, the project rejected in 2011 was a proposed 177,000 square feet, and the current proposal is notably more massive at 198,000 square feet. It adds more room space, more garage space and more common area. It should be remembered that the Coastal Commission rejected the previous design largely on the basis that is was too massive and out of scale with the surrounding area. I can see three areas where the proposed development needs modification. The proposal calls for demolition of all existing buildings and grounds except a portion of the corner bell tower building. Except for that one building, “the buildings along Beach Street, the courtyards, the building elevations surrounding the courtyards, the passages into the courts, as well as the scale, massing, and buildings’ details” -the character-defining features that give the landmark its significance-will disappear, transformed into an estimated 2,750 tons of material and 22,250 cubic yards of soil to be removed from the site to accommodate parking underground (two levels) and hotel above ground (up to four levels). This extent of demolition defeats a stated purpose of the zoning law: to retain the character-defining features of the landmark’s structures and grounds. Under CEQA, that loss of a historic resource is recognized as a significant and unavoidable environmental impact of the project as proposed, and the City Council is directed to consider a range of suitable alternatives to find a project that might feasibly lessen it. Somewhere on the continuum of preservation – between near total demolition on one hand and near total preservation on the other- is a sweet spot worth finding in a feasible alternative project. The proposed development fills a 1.4-acre block: its south facade faces the bay and its east and west facades face motels. The hotel’s north facade along First Street faces only residential uses. That facade needs more setback, corner treatments, architectural features, etc. under the Site Design Guidelines of the applicable local plan, the Beach and South of Laurel Area Plan (B/SOL Plan). Proposed onsite parking (161 permanent spaces and 49 valet spaces) is inadequate for a 165-room hotel plus all of its associated retail, restaurant, banquet and meeting activities and functions. Again, the zoning law requires more. Failure to fully quantify the City’s parking requirements for the proposed development is particularly significant on Beach Hill. This area is most heavily impacted by parking and traffic woes in tourist season when area streets are already gridlocked on weekends, even without a new hotel. Any shortage of onsite hotel parking aggravates an already intolerable summer parking shortage and traffic jam. Further, the two levels of underground parking (connected by a ramp) each exit onto a different street: one level exits onto Westbrook Street at the back of house and the other exits onto Main Street near the intersection with Beach. Much of the traffic that exits onto Main Street is directed into the residential portion of Beach Hill. Both levels of underground parking should exit onto Westbrook. That way, all hotel traffic (commercial, guest and valet) is directed to Cliff Street which connects in a straight line with Beach, Second and Third, in short with every way out of the beach area in any direction. All of that additional traffic should be diverted off of Main and First Streets and away from the residential portion of Beach Hill. CITY COUNCIL CAROUSEL. With Tim Goncharoff cancelling his campaign kickoff, most folks think he and his campaign are toast. Too bad too, I think he’s a good candidate…naive, foolish, stubborn, but still a good candidate. Hillary Bryant told me last Thursday about her running , “I don’t know, it’s so hard on the kids”. Rochelle Naroyan is running, no body knows about David Terrazas, and only a few even care. Cynthia Chase is going to wait a campaign or two, Steve Schnaar changed his mind too and he’s not going for it. Bruce Van Allen is mulling it over and so is Leonie Sherman. E.C RITTENHOUSE’S MAUSOLEUM. Jacob Pierce of the Santa Cruz Weekly wrote an article on the Rittenhouse Mausoleum at the corner of Church and Pacific. He didn’t understand an important part of our concept of having a plaza there. I wrote a letter to the Weekly, they didn’t print it last week…so here it is, just in case. Jacob’s article on the Rittenhouse Building was great. Though one little item needs clarification, it wasn’t “environmentalists” or even what you might call “activists” who were pushing for years to create a plaza on the notorious Pacific-Church Corner. The pro-plaza group was made up of many Performing Artists and their organizations. Audrey Stanley of Shakespeare Santa Cruz and Tandy Beal and the Cabrillo Music Festival and The Santa Cruz Symphony and I all appeared before the City Council asking the Council and then Mayor Tim Fitzmaurice to build the plaza. It would have been a well designed combination of small businesses on the perimeter including a large second floor restaurant overlooking the large grassy performing space. There would have been benches, and a park like ambiance plus those performance and business spaces. But the merchants shot it down and convinced the City Council, some of whom who had researched plazas and even established an official Plaza Advisory Panel that “it would attract the wrong element”. 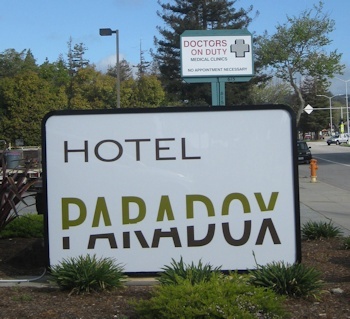 Frank Lima “The Great Morgani” asks “When is Doctors on Duty, next to Hotel Paradox, going to change their marquee to read “PAIR O DOCS” ? A burning and deep question. What is with the City Council secrecy on this? What’s with the spending of all this money and not letting the people know?? That is our BUSINESS DEMOCRATS vs. LABOR DEMOCRATS in a nutshell. BURNING CORPSES NEXT DOOR??? As some concerned neighbor of the Santa Cruz Memorial Incinerator said, “how’d you like to have a daily fire next to your house when they burn flesh, wood, bone, metal, and mercury? ?” Remember when we used to have plain old bonfires? And why does SC Memorial not want to add more scrubbing to their incinerator chimney? GROCERY OUTLET…AGAIN, STILL. A concerned reader hoped I hadn’t “crossed over” in supporting Grocery Outlet’s moving into the Morrissey Post Office space. Yep, I did and I told her I liked the old Lucky Store, I told her none of us gets to choose which franchise goes in there, maybe a Quicky Lube, a MacDonalds, some Coffins R Us, it’s about the money and zoning. I figure it’s only the Morrissey Safeway that will suffer, and with the recent sale of the Safeway chain, who can guess what Albertson’s will do with that property (I’ll bet they close it). We don’t want to get into the complaints from Staff of Life neighbors, which I did last week. BUSINESS DEMOCRATS or LABOR DEMOCRATS. That’s one nationalidentification that’s been poping up lately. Then there’s labels like POLICE Democrats or PEOPLE Democrats that work equally well. Applied locally that would mean people like Cynthia Mathews, the Coonertys, Zach Friend, The Democratic Women’s Club, Mike Rotkin, Hilary Bryant, those folks are BUSINESS or POLICE Democrats. Then there’s the People’s Democratic Club and…Send in your suggestions. GOODBYE BUZ BEZORE. You can tell by the amount of coverage on Buz Bezore that he was an important figure in our local print media history. All of us who were involved with Buz could easily write stories about our relationships just about nearly forever. What is almost funny is that in the last few days many of us have been franticaly trying to put together dates, facts and memories…and it’s all a mess of tears, laughs, politics, egos, and not much accuracy. I quit Good Times at least twice to join Buz in starting weekly papers, and those sure were the great old days. Tony Russomano sent this aerticle by Mike Connor in the May 5, 2004 issue of Metro Santa Cruz. Mike interviewed and collected what I’ve found to be the most accurate account of those days and what we were up to. Check out Lisa Jensens blog for March 12, where she tells about Buz and the two of them at UCSC, his free-lancing at Good Times and their long friendship. Somewhere in all of this there’s high praise for The Santa Cruz Express. Sometime, someone should write a book just about how Buz and our small happy band of sisters and brothers created that paper, how great a paper it was and sadly, how it fell apart. There’ll never be another Buz. SANDY LYDON’S NEWSLETTER. Go hereto get a sampling of what Sandy and friends are up to. Go visit places like Siberia, Croatian Watsonville, Mongolia, and Big Sur. Equally important is Sandy’s historical look at our local droughts. We should memorize that part. NISENE 2 SEA TRAIL OPENS TO THE PUBLIC. After fifteen years of negotiations, a number of setbacks, the cumulative effort by Nisene 2 Sea, California Conservation Corps, agencies within Santa Cruz County Government, and two County Supervisors, the “Cabrillo Connector” trail will soon be open for public enjoyment. The Cabrillo Connector is a County owned trail through private property that allows the public to travel between Cabrillo College and The Forest of Nisene Marks State Park. The public is invited to join in the celebratory grand opening walk starting at the Danube Drive/Kamian Way intersection on Saturday Mar 29 at 1:00 P.M. This new trail leads to the Vienna Woods trail into Nisene Marks Park, the only multi-use trail on its western side and provides park entrance and access to the fire road in the park at level of steel bridge which is a number of miles inland from Aptos Village. People old and young, leashed dogs, and bicycle riders of all ages are encouraged to join the walk. Please stay within the boundaries of the trail and bring dog poop bags if your dog comes along. EAGANS DEEP COVER. Tim takes another stand…scroll below. LISA JENSEN LINKS. Lisa writes: “Join me in bidding a fond farewell to Buz Bezore, legendary editor and agent provocateur of the Santa Cruz alternative journalism scene, this week at Lisa Jensen Online Express (http://ljo-express.blogspot.com).” Lisa has been writing film reviews and columns for Good Times since 1975. GIRLS IN THE BAND.It’s closing this Thursday (3/20) and it’s an excellent film. A documentary about the forgotten women instrumentalists in the world of jazz. Not singers so much but instrumentalists. It’s also one of the most empowering messages from those courageous women who fought for the chance ro play alongside and instead of the men. Brilliant, fun, exciting, educational and well made go quickly. PARTICLE FEVER.Ends (3/20)You’ll feel a lot smarter after you see this documentary about the “God Particle”. The Higgs Boson ultimate discovery that is supposed to explain everything. You’ll feel smarter but you won’t be able to describe this film to anybody. It’s so far over our heads, and it mostly looks like a hype piece to justify all the billions of dollars spent on the research. Mr. Higgs is in it and we never find out what happened to Boson. It is very impressive. ART OF THE STEAL. (CLOSES 3/20). It has Kurt Russell, Terence Stamp and Matt Dillon in it and it’s about stealing. Yes, I saw it but I don’t want to talk about it, and you wouldn’t either if you happened to see it by accident or something. NEED FOR SPEED. It’s difficult to put all of this racing saga in the overflowing movie trash bin. Aaron Paul and his relationship with co-star Imogen Poots is fascinating and well done. The racing footage is ok even in 3D it’s not great, but ok. The film has such a Hollywood ending like you’ll never believe. MR. PEABODY AND SHERMAN. I only watched 6 minutes of the part where Peabody and Sherman confront Leonardo DaVinci. It was enough to convince me that none of the wit, cleverness, sharpness of the Rocky & Bullwinkle, Dudley Do Right days were gone. 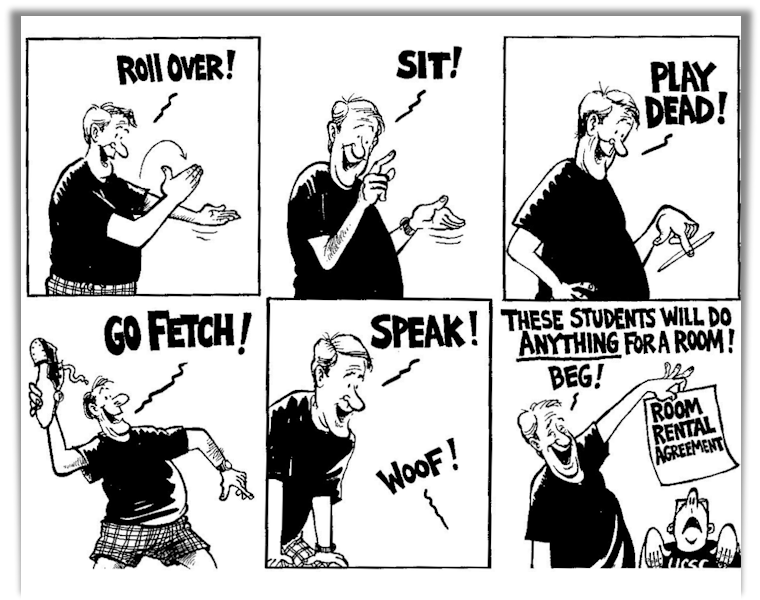 This is just another witless money grubbing Hollywood cartoon. THE WIND RISES. It’s a masterpiece of genuine animation, not Disney, digital or Pixar it’s from Ghibli’s studio in Japan. They made Spirited Away, Princess Mononoke and a few other classics. It’s not for children, it’s a sophisticated, intelligent biography of Jiro Horikoshi famed aeronautical engineer, and how “Jiro” created the famed WW 2 “Zero” fighter plane.The earthquakes, the war, the tender love story are absolutely stunning. See it asap. TIM’S VERMEER. The Art of Vermeer would be better titled as Art of Da Mirror. A billioneer engineer thinks Vermeer used mirrors to paint his masterpieces. Maybe he did, so what? What if Van Gogh used his ear as a paintbrush? It is a barely interesting docuumentary, if you’re not too busy, or in a really good mood and have nothing else to do. WALKING THE CAMINO. (SEE SOON) This is about a 500 mile trek/hike/pilgrimage in Northern Spain that has been continuing for centuries. Martin Sheen likes this documentary even though he and his son Emilio Estevez made their film “The Way” about the same trek. A few years ago. Kathy Bisbee, executive director of Santa Cruz Community Television went on the Camino walk a few months ago and is going back pretty soon. She said Walking the Camino movie isn’t as deep or touching or as human as The Way. MONUMENTS MEN. This movie is boring with laughs.. It is terribly miscast with George Clooney, Bill Murray, Matt Damon, John Goodman, Hugh Bonneville (from Downton Abbey) Jean Dujardin and Cate Blanchett. This is spupposed to be about art experts seeking masterpieces of art that Hitler’s troops had hidden. What’s funny about that?? Yet, the music, those funny actors, just weird that’s all. 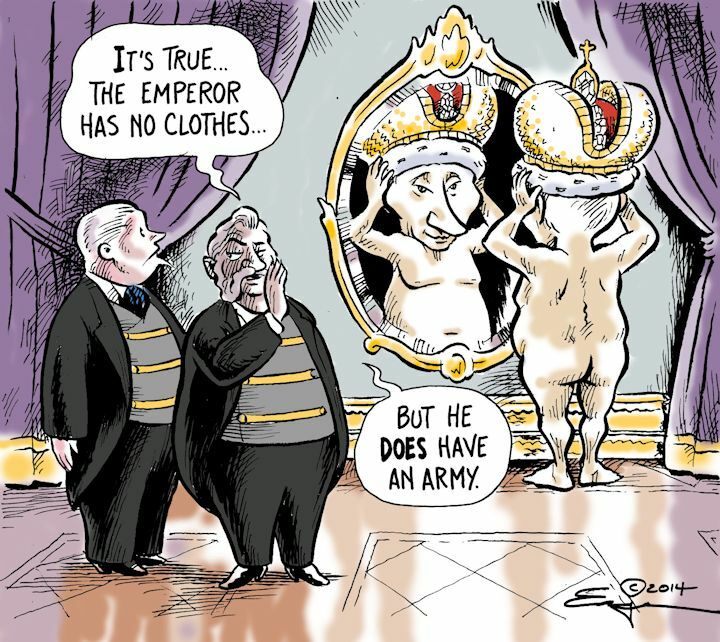 No continuity, little empathy, a few killings…not a bit of cleverness in it. Absolutely no reason to see this film.I didn’t know that there were more than 300 troops involved as Monument Men, not just the 5 or 6 that Clooney created. You might get something out of renting it..like for a rainy night!! SON OF GOD.Going to see this saga is way easier than reading the book. It should have said at the end “No saviors were injured during.. etc”. This shortened version of a made for TV series at least has everyone in the cast liooking Jewish or Italian/Roman. Except of course “HIMSELF” who appears to have come from the Hills of Beverly or Mount Malibu. It’s a sappy, gooey, mass marketed and n ever did tell us how the Shroud of Turin ended up in Santa Cruz!! 300: RISE OF AN EMPIRE. It’s got an evil queen Menses (who looks like a dark, mysterious Margaret O’Brien) fighting the pure-at-heart Sphinctus Erectus who’s from grease or maybe it’s Greece. It’s full of blood and a PG type warning “no acting was performed during the making of this film” should have been given before we had to watch it. QUOTES. “For the chicken, the egg demands involvement, but for the pig, bacon demands total commitment”, John A. Price. “I am not a vegetarian because I love animals: I’m a vegetarian because I hate plants”, A.W. Brown. “I love Chinese food. My favorite dish is number 27”, Clement Atlee.